#X-3 at North Freedom, February 1, 2003. Paul Swanson photo. 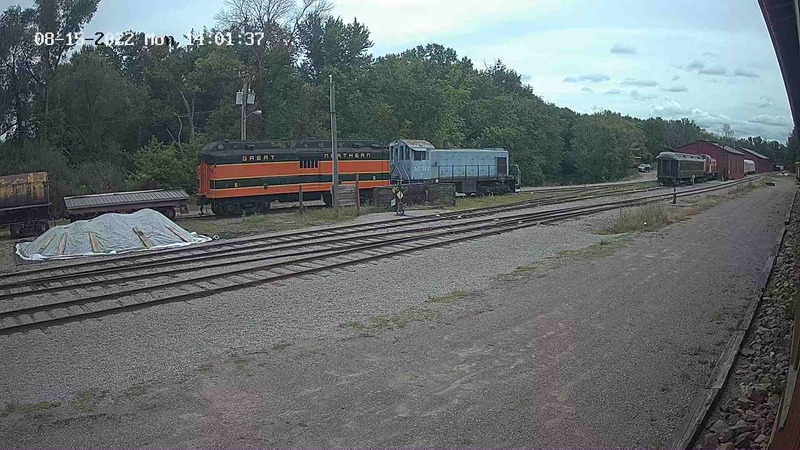 Soo Line X-3 crane with X-173 jib car at Gladstone, MI, circa 1962. Photographer unknown. 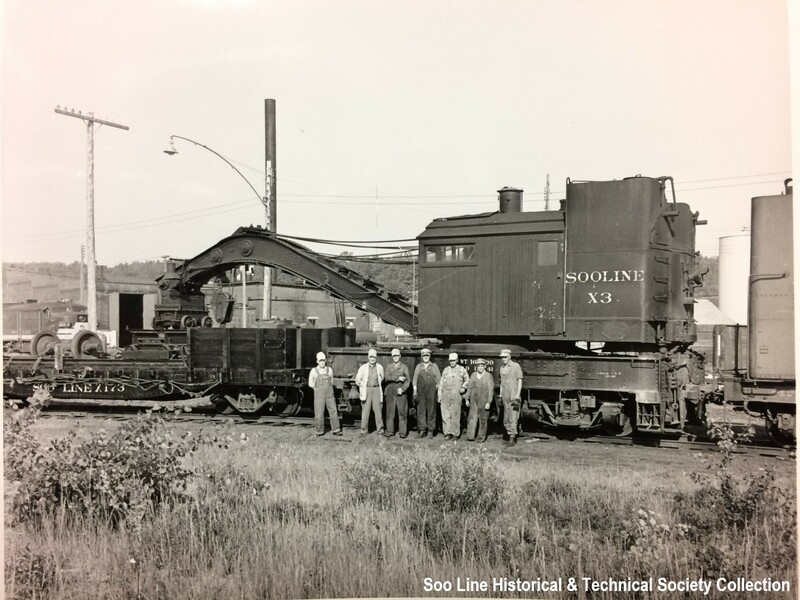 Soo Line Historical & Technical Society collection. In April of 1907, this 60-ton capacity coal fired steam crane was built by Industrial Works of Bay City, Michigan as MStP&SSteM (Soo Line) #3. In 1915, the Soo Line renumbered it to #X-3. 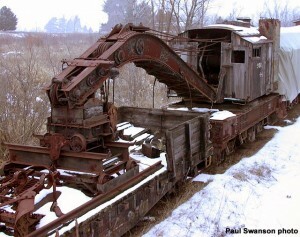 This wrecker spent the majority of its life assigned to Gladstone, Michigan. In 1961, after the Duluth South Shore & Atlantic was merged into the Soo Line, it was reassigned to Marquette, Michigan. When the Superior wrecker failed (date unknown), it was reassigned to Superior, Wisconsin, where the #X-3 remained until its retirement on January 1, 1984. 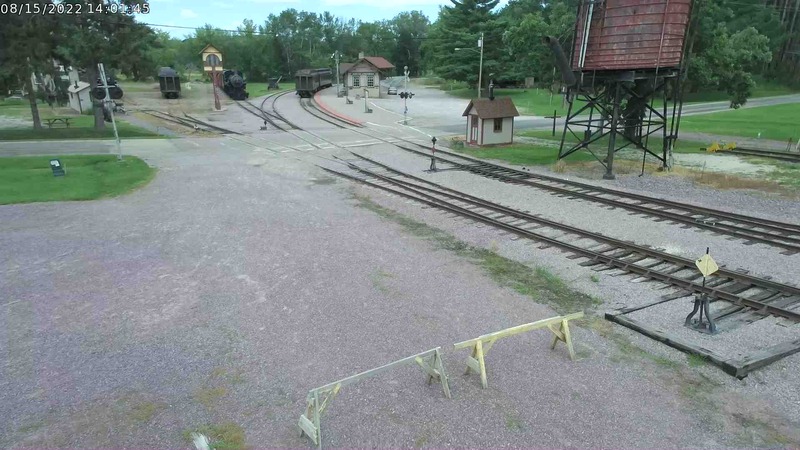 From March through November, 1970 the crane was temporarily assigned to Schiller Park, Illinois, while the #W-3 wrecker was being converted from steam to diesel. #X-3 was last shopped in November 1970 at North Fond du Lac, Wisconsin. During the shopping, the original arch bar trucks were replaced with 70-ton ore car trucks. 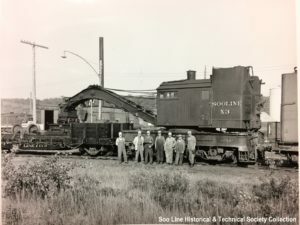 At the time of the wrecker’s retirement, it was purchased from the Soo Line by a group of preservation-minded Soo employees and a few crane enthusiasts and in turn donated to Mid-Continent along with its jib car #X-173. The #X-3 is presently inoperable due to boiler problems and is preserved in the lettering scheme it carried for most of its life.